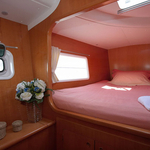 In 2008 has been produced boat Lagoon 380 called Lagoon 380 S2. This vessel is placed in marina Sant Antoni de Portmany around Ibiza in Balearics. 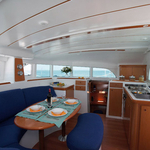 You can board up to 12 passengers on the vessel Lagoon 380 S2. Scheme of sleeping places is 12. 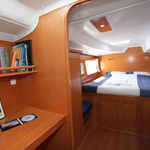 There are 6 cabins placed below boat's deck. 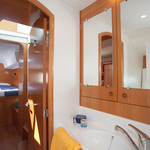 Lagoon 380 S2 has 2 toilettes. 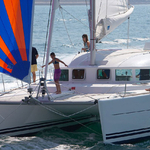 Read about more search results here: Catamarans Ibiza. Fuel tank is 200.00 l l. capacious , water tank has up to 600.00 l l. In this sailboat is applied engine 2 x 29 hp. 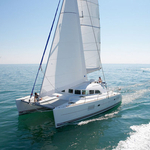 With 11.55 m of lenght and 6.35 meters of width Lagoon 380 S2 offers enough space for comfortable sailing. 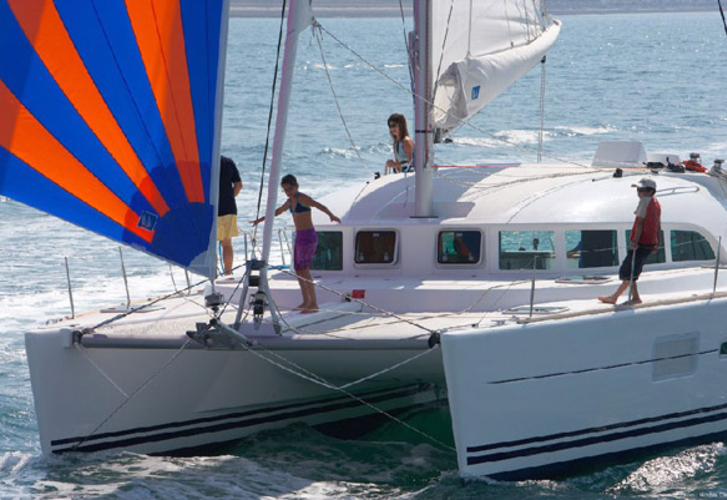 Lagoon 380 Lagoon 380 S2 is equipped with: Autopilot, Gps plotter, Radar, Bimini top, Electric winches, Anchor electric windlass, Bow thruster, Outboard engine, Mainsail with lazy jack, Inverter 12v-220v, Radio / cd player, TV. . Deposit is at the level of 3000.00 EUR. See more boats here: Catamarans Sant Antoni de Portmany.